Everything you need to research our extensive new model inventory at Moffitt Volkswagen is right at your fingertips. Tour our virtual Volkswagen model showroom to see and compare new vehicles near Shreveport, Louisiana. Streamline your choice with tools to estimate an auto payment and value your trade-in all at the click of a mouse with our convenient, online shopping tools. After your research is over, come visit our Volkswagen dealership near Shreveport, LA to test drive premium vehicles like the Volkswagen Jetta or the Volkswagen Tiguan. Call our auto sales team today to schedule your test drive and learn more about our current Volkswagen specials! 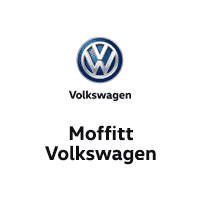 Family owned for 50 years, Moffitt Volkswagen is all about customer satisfaction. Our unmatched selection of new Volkswagen models and pre-owned vehicles includes the spacious and adventurous Volkswagen Atlas and the responsive Volkswagen Golf GTI. Whether you are looking to lease an elegantly engineered Volkswagen Passat, or purchase an iconic Volkswagen Beetle to call your own, we’re here with the answers. View our new vehicle specials for compelling deals on new cars, then come visit our Volkswagen dealership near Shreveport, LA for a test drive today! It’s never been a better time to lease or purchase a new Volkswagen SUV from Moffitt Volkswagen. Special programs for recent college grads, military personnel, and first responders make it even easier to park a new Volkswagen sedan in the driveway. With our flexible Volkswagen lease options, you can get behind the wheel of a premium Volkswagen SUV without breaking the bank. Have a less-than-perfect credit history? No problem! Our auto finance center near Shreveport, LA also offers auto financing for a range of credit types. Ready to take the next step in your car-buying journey? Apply for auto financing to get pre-approved today. We appreciate your interest in our inventory, and apologize we do not have model details displaying on the website at this time. Please fill the form out below and our team will quickly respond, or, please call us at (844) 727-1594 for more information.